Brooke Wilson was a lobbyist for the carpenters union, which spent more than $1.1 million to support Green’s candidacy. A lobbyist for the construction industry, which pumped more than $1.1 million into Josh Green’s campaign for lieutenant governor this election season, will now serve as his chief of staff. Brooke Wilson, who was a registered lobbyist for the Hawaii Regional Council of Carpenters, will lead Green’s staff of nine that includes administrative assistants, a policy advisor and a communications liaison. The carpenters union, for which Wilson had been a lobbyist since 2015, provided the support to Green via its super PAC Be Change Now, campaign finance reports show. Brooke Wilson, a former lobbyist for the construction industry who will serve as Lt. Gov. Josh Green’s chief of staff, at the inaugural ceremony Monday. The union also made a $6,000 contribution directly to Green’s own campaign. Union representatives were not available for comment Tuesday afternoon, and Green’s office would not directly comment on the appointment. Wilson has been a registered lobbyist in the state since 2014. 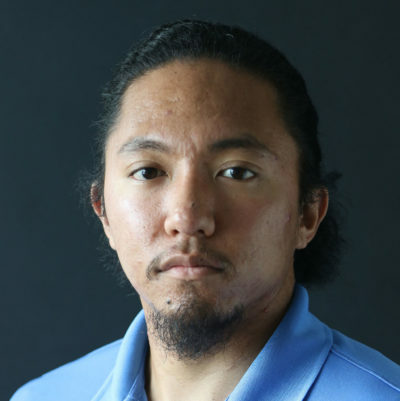 Before that, the University of Hawaii graduate worked as an account executive at McNeil Wilson Communications, now Anthology Marketing Group. The carpenters union, which represents over 7,000 construction workers in the islands, spent more than $3.6 million in the last election cycle and reported having $2.2 million on hand as of the last filing report in October. The final campaign finance reports for all candidates and PACs are due Friday. The PAC did not spend any money to support Green’s campaign during the general election campaign. The primary campaign was much more heavily contested as he emerged from a field of five Democrats. In 2012, the carpenters union spent over $3 million in 2012 through the Pacific Resource Partnership PAC to help Honolulu mayoral candidate Kirk Caldwell defeat his anti-rail challenger, former Gov. Ben Cayetano. One of Green’s top opponents in this year’s primary, former Senate Ways and Means Committee chair Jill Tokuda, was a vocal critic of the rail project. Rep. Sylvia Luke, who chaired the House Finance Committee, told Civil Beat in August that she viewed Green’s union backing as a retaliation against Tokuda.